This versatile cocktail ottoman will be a great addition to your living room. Kick up your feet and enjoy! This ottoman can be used as an extra seat when guests arrive, or with the addition of a tray, creates a convenient surface for serving snacks. 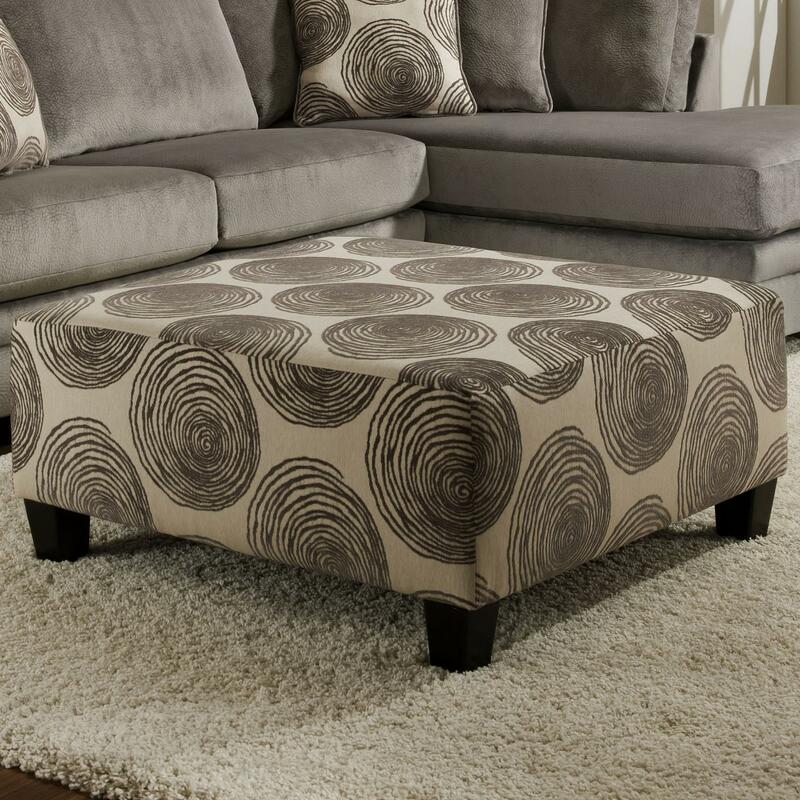 The updated pattern and clean lines make this ottoman a nice fit for any home. The 8642 Oversized Cocktail Ottoman by Albany at Household Furniture in the El Paso & Horizon City, TX area. Product availability may vary. Contact us for the most current availability on this product. Warranty Springs – 5 years. Foam and fiber – 1 year. Fabrics – 1 year. The 8642 group will fit nicely into your home, offering a transitional style that is timeless. This collection is comfortable and versatile, great for your busy living room or family room. Upgrade today with this stylish group. The 8642 collection is a great option if you are looking for furniture in the El Paso & Horizon City, TX area.